It is not uncommon for pubs to use a number of different signage options. Among the most popular are our projecting and blocked letter signs, with many establishments opting to include both sign types to really stand out. 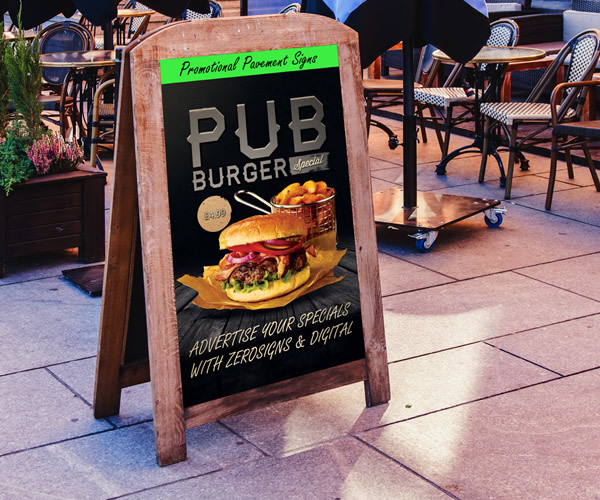 Blocked letter signs are usually used to display the name of your pub over the door or along the side of the building, while projecting signs are used to display a logo or an image. As the name suggests, these types of sign project outwards and give you the opportunity to stand out on a busy street.